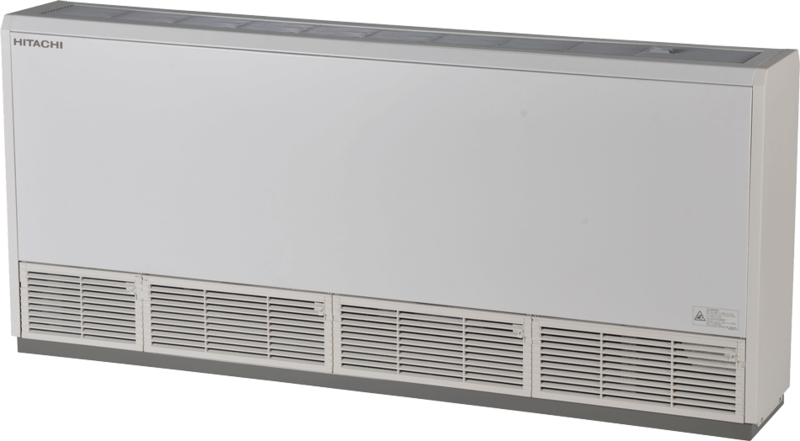 Hitachi SmartFlex floor-exposed indoor units have a slim-line design compatible with the style of the room. 8.7-inch (220 mm) depth preserves room space. 24.8-inch height leaves ample window space.